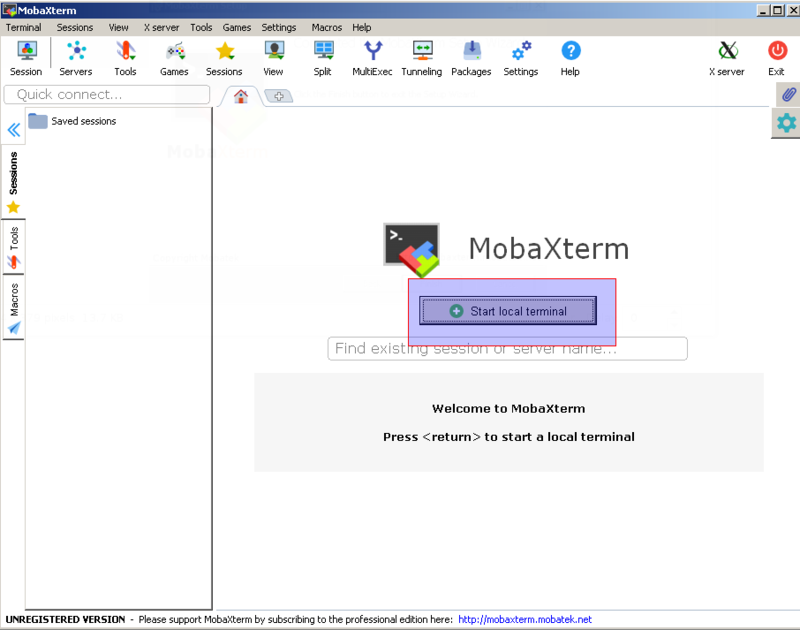 Mobaxterm is secure remote connection tool suit that provides SSH, VNC and RDP protocols. 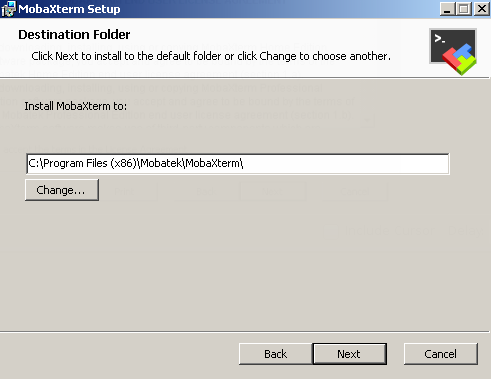 Mobaxterm is provided by company named Mobatek. 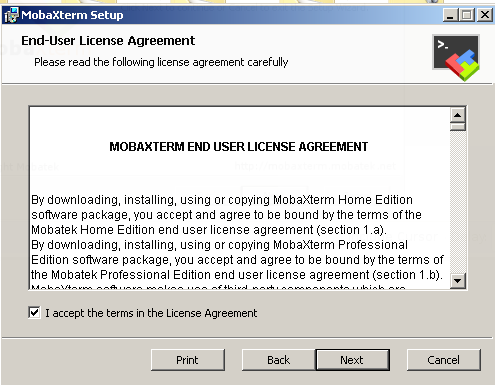 Mobaxterm has two type of license. 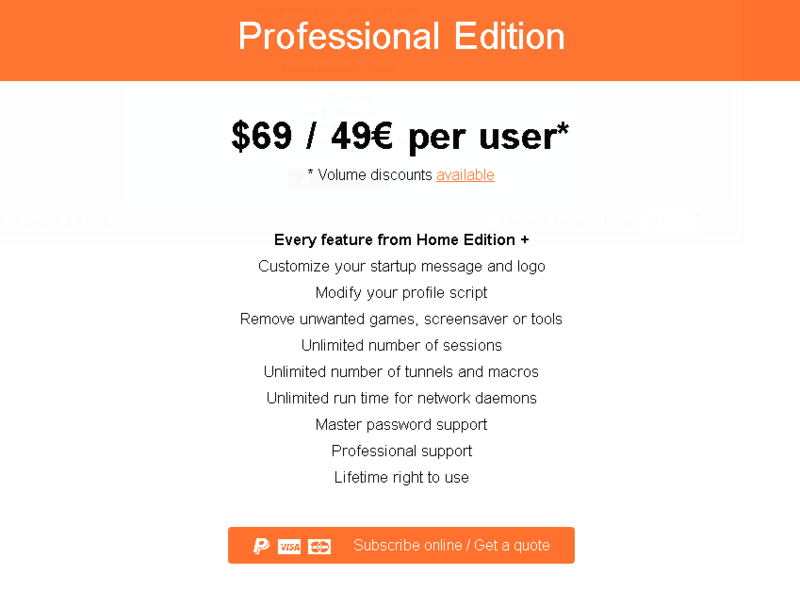 Home edition has following features and restrictions. We will prefer the home edition which is enough and free for us. 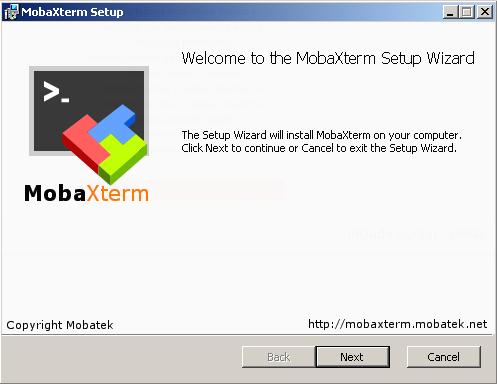 Mobaxterm for Windows can be downloaded from following link. As writing this post latest version of the Mobaxterm was 10.2 . There is two option to download and install. As we know Linux jargon uses shell for command line interfaces. We can create a shell in the local Windows system. This shell is similar to the MS-DOS command line interface but provides more feature and some eye candy. In order to start local command line click Start local terminal button. LEARN MORE How To Use Putty As SSH Client? And we will get following screen. 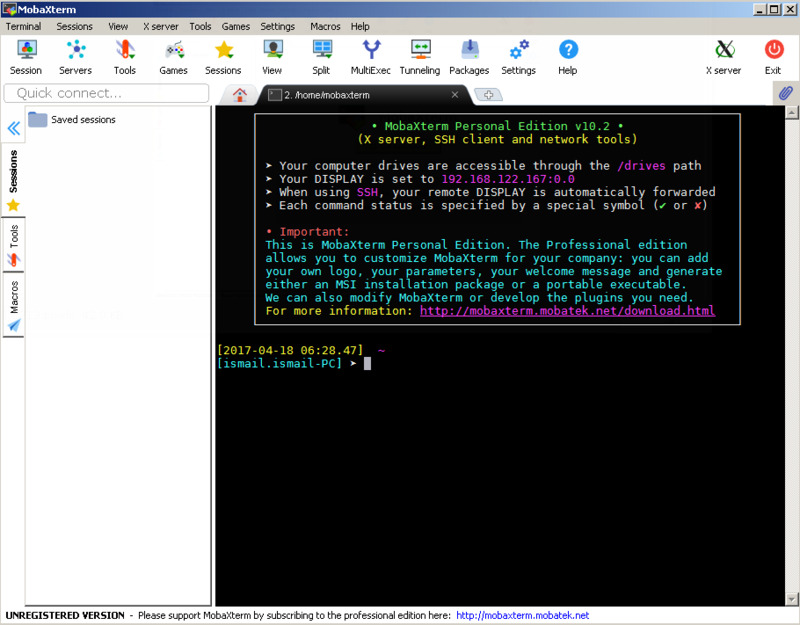 Mobaxshell provides a smooth Linux desktop tools experience. 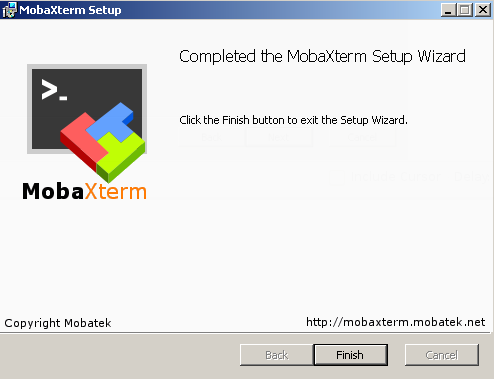 Mobaxterm have a great feature. Normally in order to create VNC, SSH, FTP in local windows system we will download related tools separately. Mobaxterm provides more of them. Click Servers from toolbar. and we will get following window. We can create sessions and save them for easy use. We will click Sessions from toolbar. We will get a window which lists all supported connections types and protocols. As we can see this tool is like a swiss army knife. And we select Ssh in this case. And we will provide parameters for ssh connection to the following configuration window.